LANSING, Mich. – The wait is over. 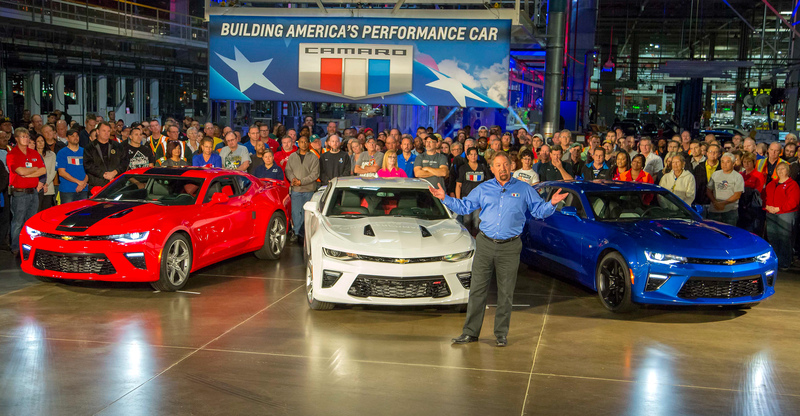 Chevrolet announced today it will begin shipping the all-new 2016 Camaro to dealers. 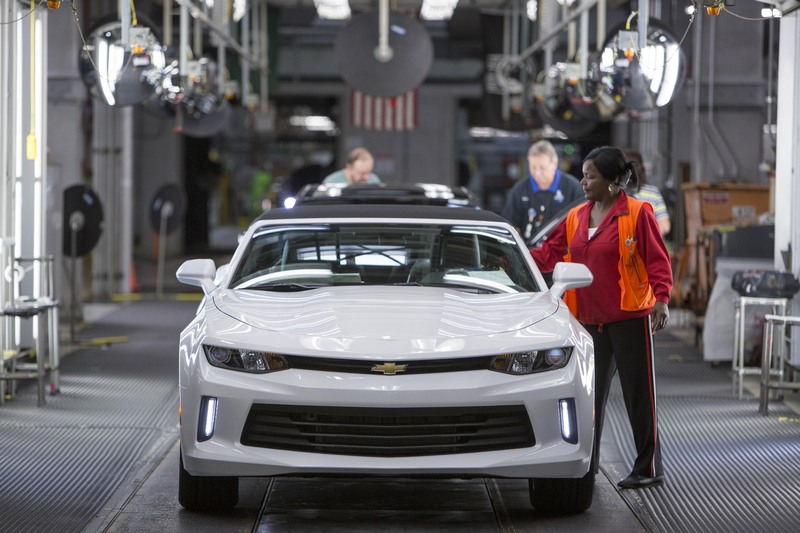 The first wave of production models will leave the plant by the end of this week and should arrive at dealerships for customer delivery by mid-November. 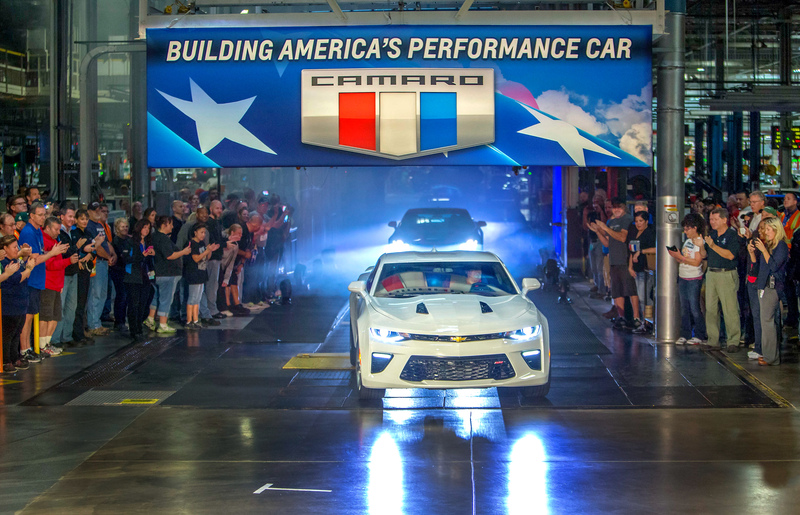 The Gen Six Camaro rolls off the line at GM’s Lansing Grand River Assembly facility, which received a $175-million upgrade in tooling and equipment to support its production. 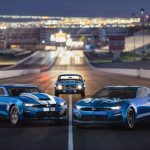 The 2016 Chevrolet Camaro offers higher levels of performance, technology and refinement starting at $26,695 for the Camaro 1LT and $37,295 for the 1SS. 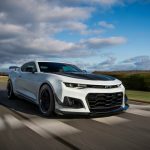 Six all-new powertrain combinations are offered, including a standard 2.0L Turbo and an available, all-new 3.6L V-6 in LT models, and the 455-hp LT1 6.2L V-8 in the SS – making it the most powerful Camaro SS ever. Each engine is available with a six-speed manual or eight-speed automatic transmission. The first vehicles delivered to customers are coupes – SS or LT models with the 3.6L V-6. 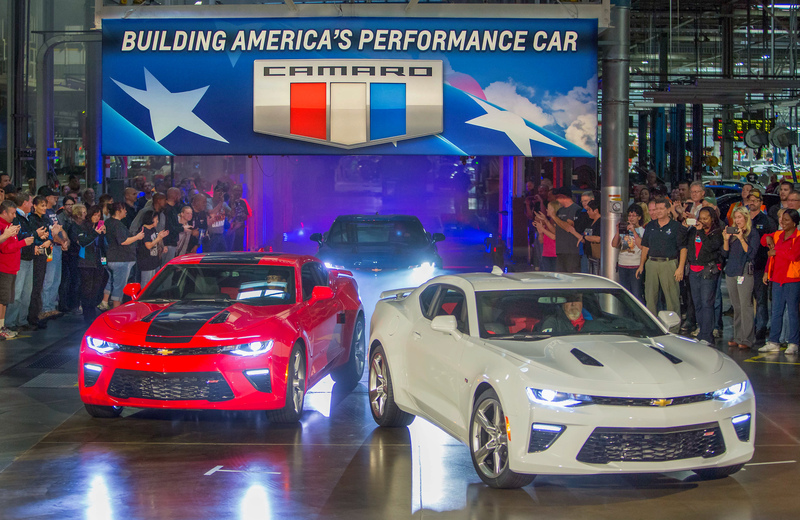 The Camaro Convertible and models with the 2.0L Turbo engine will begin shipping in early 2016. Vehicle mass has been reduced between 223 and 390 pounds, depending on the model, creating a more nimble, responsive driving experience. The leaner, stiffer platform and slightly smaller dimensions are accentuated by a dramatic, sculpted exterior. Meticulously tuned in the wind tunnel, the new Camaro’s exterior contributes to performance through reduced aerodynamic lift for better handling while enhancing efficiency. Inside, a driver-focused cockpit integrates class-leading technologies, including a new Driver Mode Selector, configurable instrument cluster and an available customizable ambient lighting feature. Standard connectivity features include Chevrolet MyLink with Apple CarPlay capability and OnStar 4G LTE with Wi-Fi hotspot. FAST FACT: The original 1967 Camaro went on sale Sept. 29, 1966. 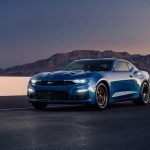 Editors: Manufacturer’s Suggested Retail Price includes destination charges but excludes tax, title, license, and optional equipment and dealer fees.